Jerry Seinfeld used to do a great bit about aging. The not-very-funny paraphrased version for our purposes today is that, when people get older, everything gets smaller—the meals, the houses, their bodies. Everything except the car, which just get bigger. But there’s another thing that gets bigger as we get older, too: the target painted on our backs. 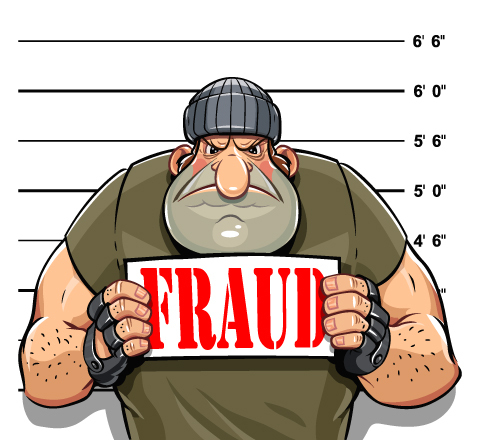 The elderly lose an estimated $36.4 billion every year to fraud. That’s the size of entire sectors of the U.S. economy. CNBC ran a story on the subject recently, and it’s worth a read. The important thing is to stay involved in your parents’ lives and talk to them about the realities of financial fraud and the fact that they will be seen as marks simply because of their age. Greasy telemarketers, lottery scams, the old “grandchild in danger” telephone scam, get-rich-quick schemes (Iraqi dinar and Vietnamese dong currency peddlers, I’m looking at you), phony investments and affinity fraud (where the scammer uses affiliation with a church or other organization to appear trustworthy)—all of these target the elderly. It’s important to talk to your older family members and friends about the dangers, and take action where needed. Retire On The Iraqi Dinar And Vietnamese Dong: Forbes article specifically detailing currency revaluation scams. Please note two things about this article: 1.) The title of the article is sarcastic, the author is recommending that you stay as far away from currency revaluation “investments” as possible; 2.) Forbes.com is positively rife with advertisements, not all of which are trustworthy—I have seen ads for Iraqi dinar schemes appear on articles about why Iraqi dinar scheme is a scam. Go forth with that in mind.